There’s no doubting it: the OnePlus 5 has had a really rough week. Reviewers and users alike have had all sorts of technical complaints, ranging from a display problem called “jelly scrolling” to users being upset over missing features. Plenty of these attacks have been completely justified—in fact, we’ve had our own list of complaints. If you are OnePlus, it’s the last thing you want to have happen when people should be buzzing about your new smartphone. However, as with nearly everything on the internet, voices of hysteria and outrage often silence the other opinions and conversations happening—even when it comes to smartphones. At first glance—and especially to those who haven’t actually used the phone yet—comparing the OnePlus 5 to the Galaxy Note 7 might be tempting. In our first couple of weeks of having the Note 7 last year, we were raving about pretty much every aspect of the phone. As far as we could tell, the Note 7 just might have been the smartphone of the year, a title Samsung has been chasing for years now. That was all before reports about battery problems started, then grew, and then finally snowballed into a complete recall of the device. The OnePlus 5 is not in that scenario—nor is it going to be in the future from what I’ve seen thus far. Don’t get me wrong: I’m not going to sit here and defend the company for its clear lack of proper testing before putting the handset in the hands of the public. Problems like the fact that the stereo speakers don’t “flip” when the device switches orientation or the distorted audio problems being reported (when you hold the phone a certain way) are a bit disappointing in a flagship device. Even though these are things that can probably be fixed through updates, that’s not an excuse. I want the quality of smartphones to increase as much as anyone else. However, don’t even get me started on complaints that OnePlus isn’t an “independent” company (which is something most people have always known) or that OnePlus is cheating on benchmarks or that the camera isn’t “quite as good” as it claims to be. These—and other claims going around the internet right now—are being blown way out of proportion and being placed into a media narrative that is pretty unbalanced. I can’t remember the last time a smartphone manufacturer didn’t exaggerate camera or performance claims in press materials. It’s particularly frustrating when the performance and camera on the OnePlus 5 have actually been fairly impressive in my testing thus far. In terms of the errors and mistakes, does anyone remember the antenna band problem with the iPhone 4? Or the Apple Maps hysteria? How about the fact that the Bixby assistant has been delayed again for the Galaxy S8, a smartphone that is already in the hands of the public? Even for the largest of companies, errors and miscalculations do happen from time to time when you are producing products on this scale. 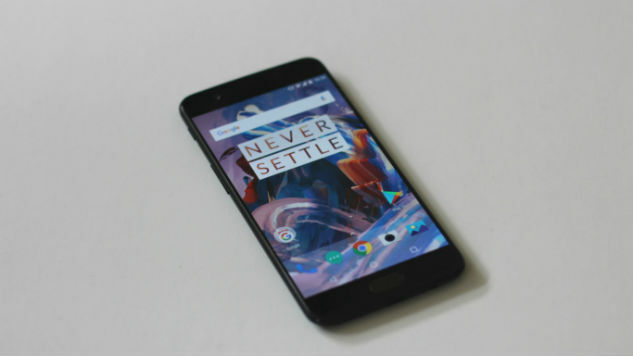 So here’s the truth: the OnePlus 5 has a fair share of small problems—perhaps even more than the average flagship smartphone—but that really shouldn’t be stealing the headlines from the fact that it is a fantastic smartphone. After weeks of using it as my daily driver, I’ve been highly satisfied with the things that matter most: design, performance, battery life and the camera. When you put all these things in perspective of the device’s asking price, you’ve got a package that should come highly recommended to most Android users looking for an unlocked phone. So please—stop acting like the OnePlus 5’s problems are exploding batteries.